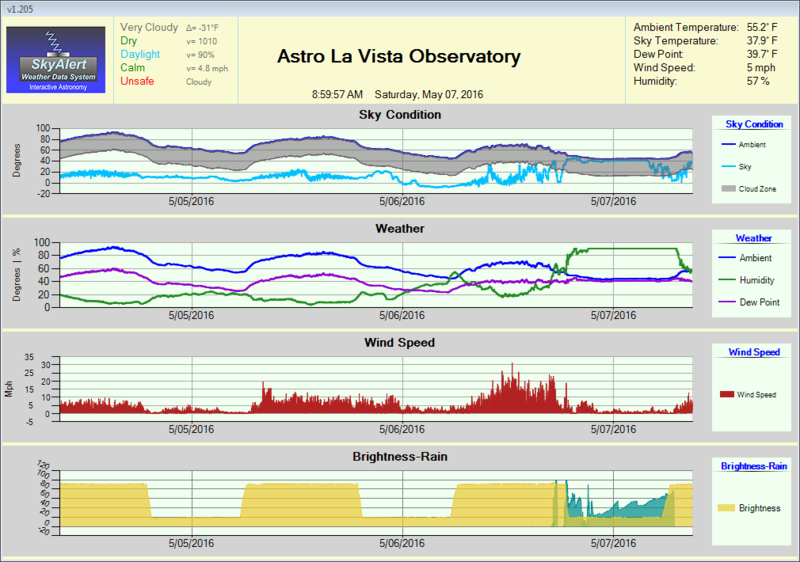 It has been difficult to find enough imaging time between the rainy weather days to complete this project. Of course, you never are really finished since you can always add more images to the stack. 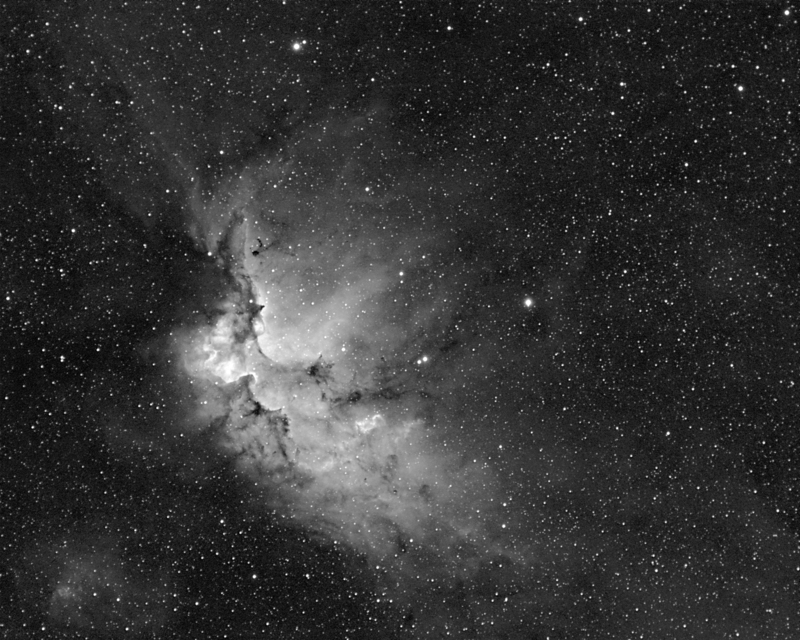 This image was composed by stacking 15 thirty minute H-Alpha images, 4 sixty minute H-Alpha images, and 8 thirty minute Oxygen images and then massaging the data in Maxim DL, Pixinsight, and Photoshop. To be honest, I discarded as many images as I kept due to one thing or another. 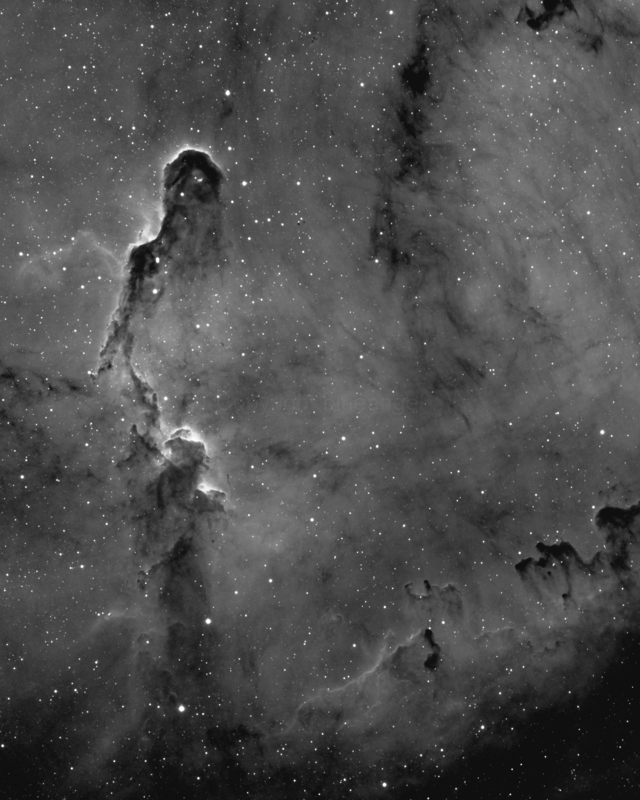 The total integration (imaging) time for the images that were used was 15.5 hours. Happy Halloween! 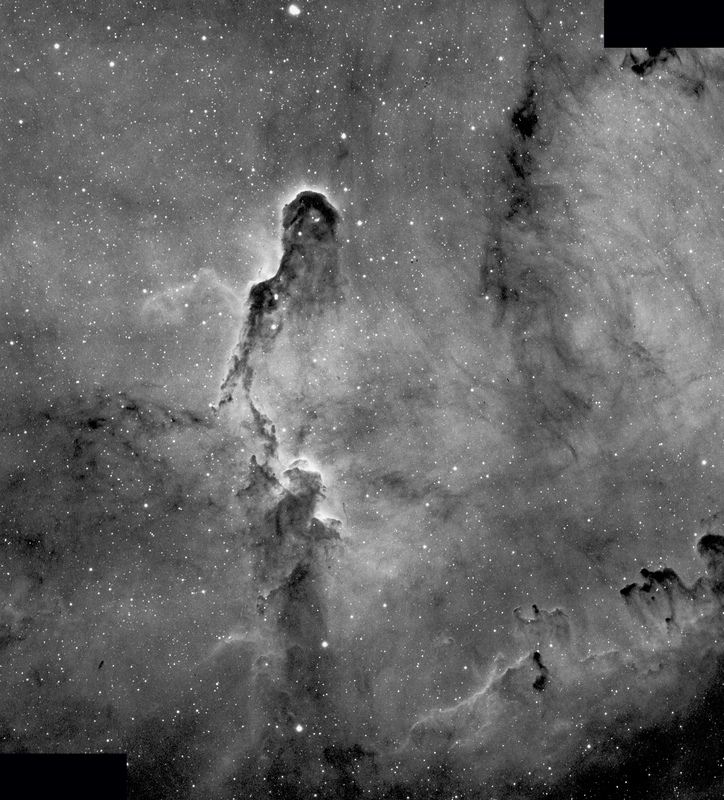 In this version of the Wizard Nebula I increased the sub-exposures from 15 minutes to 30 minutes which required guiding. I then stacked 11 images. This increased the resolution substantially. 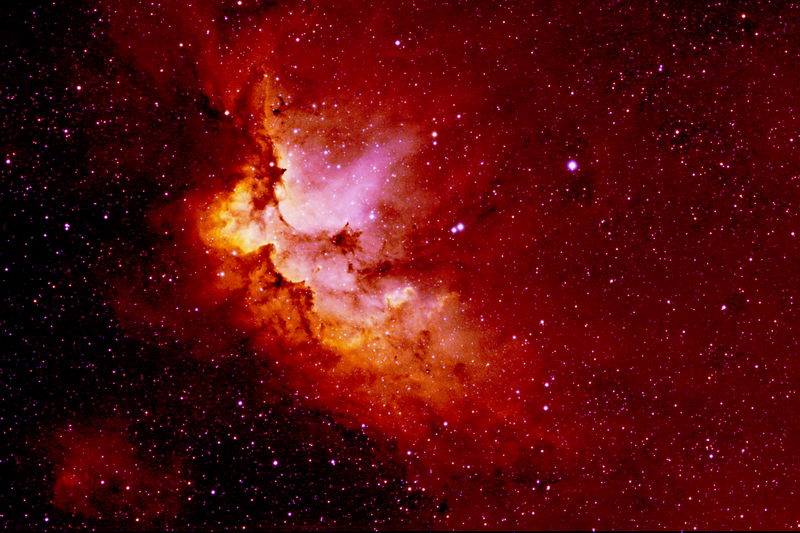 The wizard nebula is a cloud of interstellar gas and dust that lies about 8000 light-years from us. 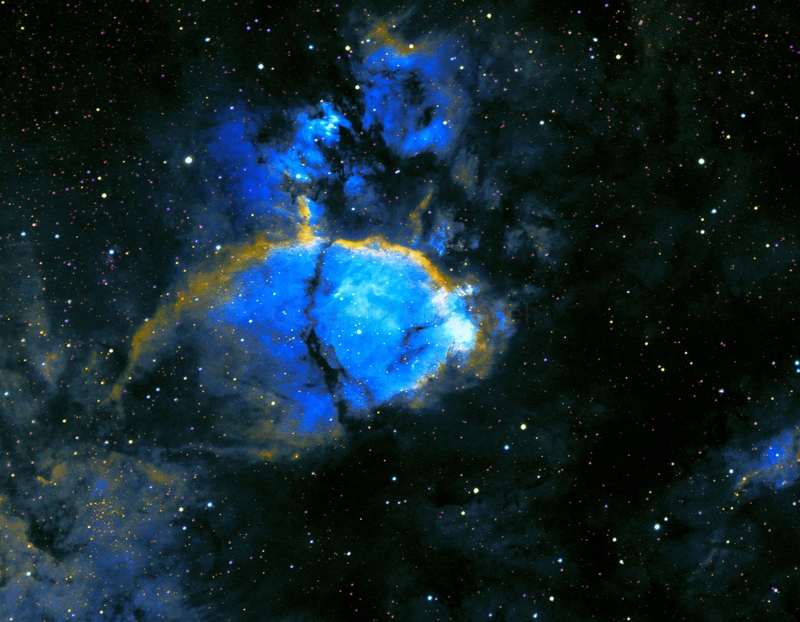 In a telescope you would probably only see the cluster of stars and not the nebula itself since it is very faint.